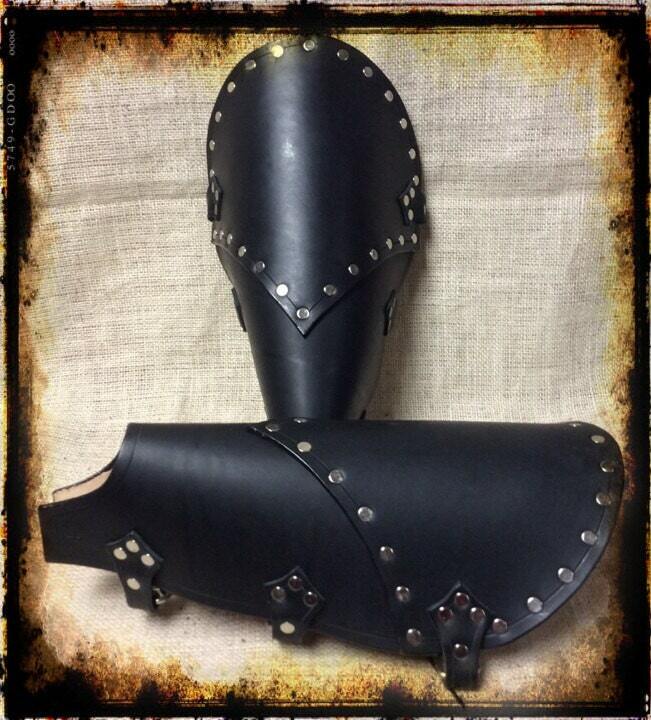 These leather greaves are my own design. They are made of 8-9 oz vegetable tanned leather. The top panel adds a distinctive look as well as extra shin protection. They are dyed solid black and assembled with silver toned hardware. Three sets of gothic tabs with D-rings allow them to be laced up with the included nylon boot laces. They will fit most adults. Top of foot to top of greave: 13"